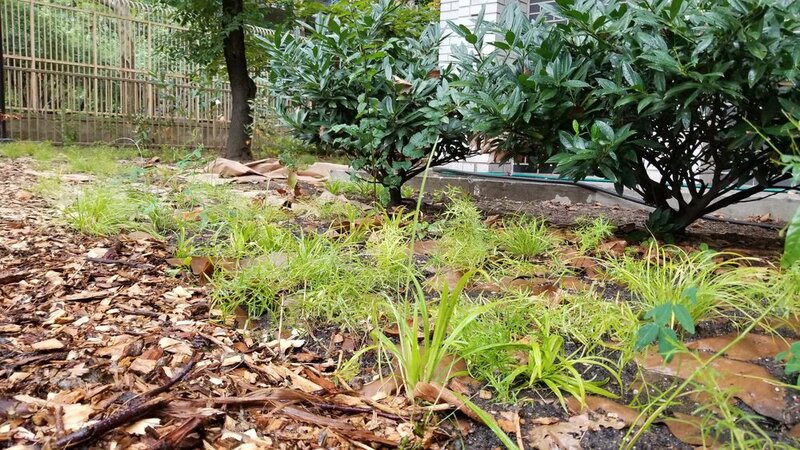 Nature Based worked with the PTA at PS 199 to transform their mostly shaded landscaped area from a underutilized overgrown space into a woodland understory wildspace. Students can micro-hike on a woodchip path through ferns, grasses, and wildflowers while studying local insects in their schoolyard. Only native plants were is this project. In addition to the wildspace, we installed three large sub-irrigated planting systems for food producing plants at PS 199. Nature Based is also serving as an ecological educator in residence for the kindergarten, first, and second grades at PS 199.